Roma women's football wins ... despite everything! 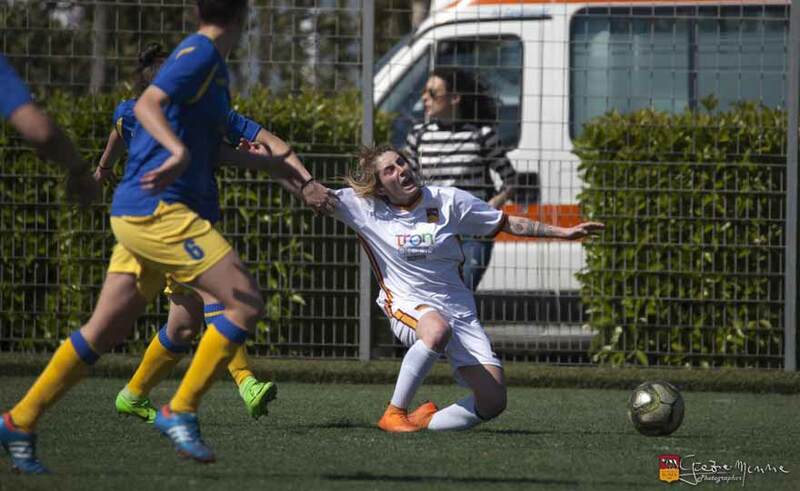 Roma women's soccer wins with merit on Fortitudo Mozzecane, despite being without the two full-backs who were disqualified by the referee of Ravenna-Roma and Serena Landa called with the azzurrine. The match was played by Roma, putting everything on the field and finally the victory came (goal at the 17 'st of Kovacevic), but this time it was not easy for the umpteenth arbitrage rather "severe" against the Giallorossi . It becomes really difficult to face direct confrontations for second place and, to tell the truth, it is difficult for the press office to write the report. Also yesterday with Mozzecane two penalties that seemed to be clear, one of which was really impossible not to give on Kovacevic at the beginning of the second half, were ignored by the referee triad which, however, was ready to warn Visentin launched on the net and landed, by simulation. Visentin was warned then against the intertwined Inter we will miss one of the fastest and most important tips. For the season finale we think it is our right to ask for more attention in designations and in directing such important matches. With Ravenna it was not possible in practice to play, in 10 after just a quarter of an hour for a foul on the last man who was not last (there were three of them) and then in 9 for a second foul by Sclavo, certainly not a warning. With the Mozzecane we said above ... for the next races (we repeat) we expect a little more attention for a society not linked to male professional teams, but that (with sacrifice) lives from the 1965 and fieldes over ten every week teams of all categories! Rome: Guidi, Pisani, Checchi, Silvi, Cortelli, Domi, Visentin (37 'st Ietto), Barbieri (26' st Polverino), Kovacevic, Conte (19 'st Felgendreher), Filippi. Available: Di Cicco, Naticchioni, Cacchioni, Polverino, Chahid, Ietto, Felgendreher. Fortitudo Mozzecane: Olivieri, Groff, Caliari (39 'st Marconi), Lords (1' st Benincaso), Salaorni, Pavana (12 'st Bonfante), Pecchini (26' st Dallagiacoma), Carraro, Pinna (12 'st Gelmetti) , Peretti, Martani. Available: Meleddu, Marconi, Bonfante, Cinti, Benincaso, Dallagiacoma, Gelmetti. Referee: Arena (Torre del Greco).